Under the direction of Marie Jagger-Taylor, the Park District’s dance program instructs students in the disciplines of ballet, jazz hop, tap and lyrical. For placement, please call 421-6648. All classes are held at the Poage Arts & Rec Center, 2020 N. Oakland. Asterisk (*) indicates teacher placement required. 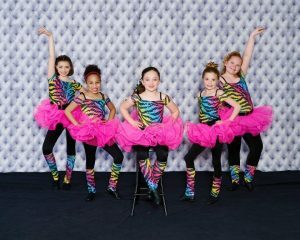 Click HERE to view the 2019 Spring/Summer Dance & Drama Class Schedule! All sessions are available for online registration now. Tiny Dancer (ages 2.5 – 5) introduces your child to the world of dance. Creative and age-appropriate activities help develop coordination, body awareness, and dance discipline. TuTu Toddler (ages 3 – 5) uses creative and age-appropriate activities to develop coordination, body awareness, and dance discipline. Hip Hop Tot (ages 4 – 5) develops fundamental skills of dance through creative play and the use of music, drama, and ballet steps. Step Into Dance (ages 5 – 6) is a more formal introduction to ballet and tap dance styles. Dancers will perform a tap & ballet recital. Dancers will need a ballet and tap shoes. Ballet classes provide classical training with concentration on technique, coordination of the arms and legs, and combinations across the floor. Tap classes utilize the teachings of Al Gilbert and focus on the rhythmic musical theatre tradition of tap dance. Jazz Hop is a high energy dance class set to popular music that incorporates dance steps from around the world including Africa, Latin America, and the Caribbean. Lyrical Dance is a fusion of ballet, jazz, and modern dance styles. Class focuses on conveying musicality and emotion through movement. Dance Concepts is a fusion of dance styles that focuses on conveying musicality and emotion through learned choreography. Hip Hop encompasses street dance styles primarily performed to hip hop music. 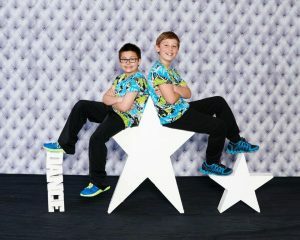 Classes include a wide range of styles including breaking, locking and popping. We offer four sections: Hip Hop ages 8 – 13, Hip Hop ages 10 – 14, Adult Hip Hop (ages 14 – adult), and Girls Hip Hop (ages 14 – adult). K-Pop is influenced by urban dance choreography of Korea. Hye Lim Cho, past instructor for Korea’s largest K-Pop dance academy, Defdance School, teaches our classes. A 30-minute class for ages 2.5 – 5 that introduces the fundamental skills of dance through creative play and the use of music, drama, and dance steps. Step Into Dance is for ages 5 – 6 and covers one hour of ballet and tap skills. A 45-minute class that introduces the basics of ballet, jazz hop, and tap. 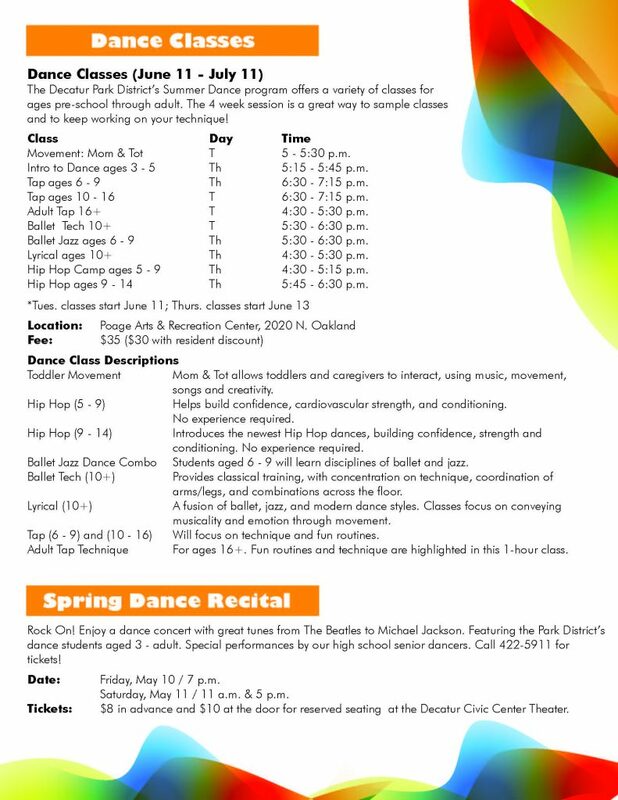 Classes designed to continue developing the skills of ballet, jazz hop, and tap. These classes continue the development of dance disciplines. Recommended that students complete Level II class or have prior knowledge of the dance discipline. Students in Tap III must have the ability to perform time-steps and maxifords. One-hour dance class designed for students with previous training. Placement required. Classes for most advanced students. Placement is required. The Adult Tap Class develops a variety of skill levels and utilizes the teaching of Al Gilbert while focusing on the rhythmic musical theatre tradition of tap dance. The Hip Hop Class encompasses street dance styles performed to hip hop music or those that have evolved as part of hip hop culture. It includes a wide range of styles including breaking, locking, and popping. Register at the DISC (1295 W. Wood), call 429-3472, or click here to register online. For information on dance class fees, visit the Fees & Payment Plan page.